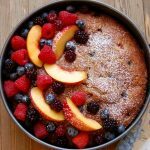 This beautiful Italian olive oil cake is infused with orange zest, dusted with confectioners' sugar and topped with fresh seasonal fruit, Godere! In a medium bowl, whisk together the flour, sugar, brown sugar, baking powder and salt. In a large bowl, whisk together the olive oil, milk, eggs and orange zest, then whisk in the flour mixture until combined. Using a rubber spatula, fold in the berries. Pour the batter into the prepared pan. Bake until a toothpick inserted into the center of the cake comes out clean, about 60-70 minutes. Transfer the pan to a wire rack and let cool 10 minutes. Release band and allow cake to cool completely. 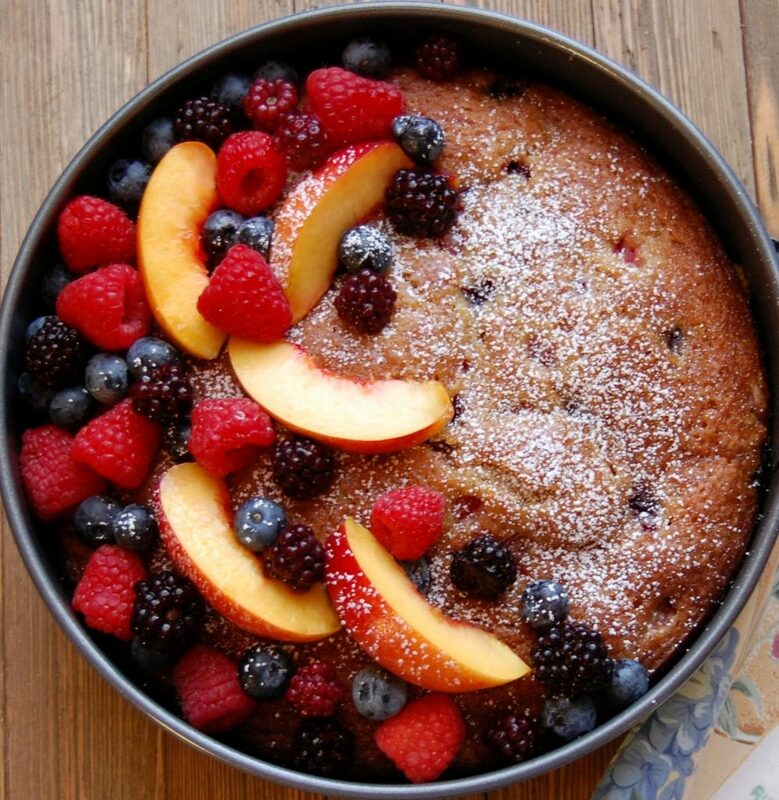 Just before serving, dust the cake with confectioners’ sugar and garnish with fresh berries and nectarine slices. *Use a GOOD quality olive oil.